Professor Andrea Volkamer, Charité (Berlin) works at the frontier of structure-guided machine learning for drug discovery and kinase inhibition. An example workflow for utilizing structure-informed machine learning and free energy calculations to predict kinase polypharmacology. 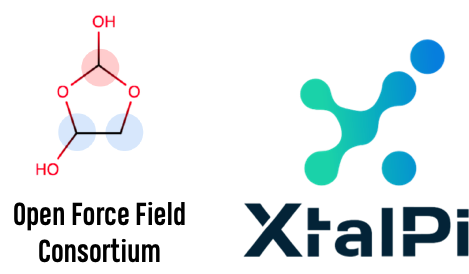 The Open Forcefield Consortium [http://openforcefield.org] seeks a Lead Software Scientist to coordinate open source software development efforts for an interdisciplinary academic team developing next-generation molecular mechanics forcefields and associated parameterization infrastructure. See the full job ad here. 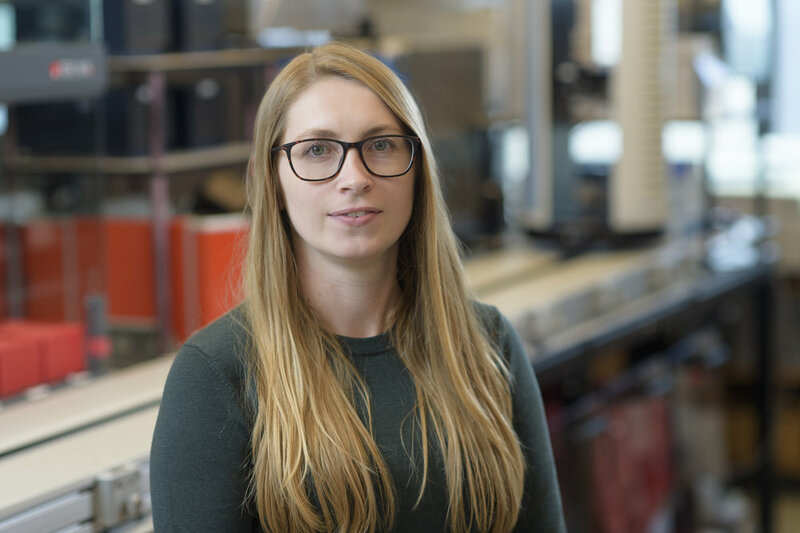 Congratulations to Postdoctoral Fellow Dr. Sonya Hanson, who has joined the laboratory of Joachim Frank at Columbia University to learn the exciting new technique of cryo-EM spectroscopy coupled with manifold embedding to reveal the dynamic conformational landscapes of TRP channels, an important class of integrative sensing proteins Sonya extensively studied as a graduate student. Frank was recently awarded the Nobel Prize in Chemistry (along with Jacques Dubochet and Richard Henderson) for his seminal contributions to advancing the technology of cryo-electron microscopy to become a powerful technique for imaging the conformations of biomolecules. 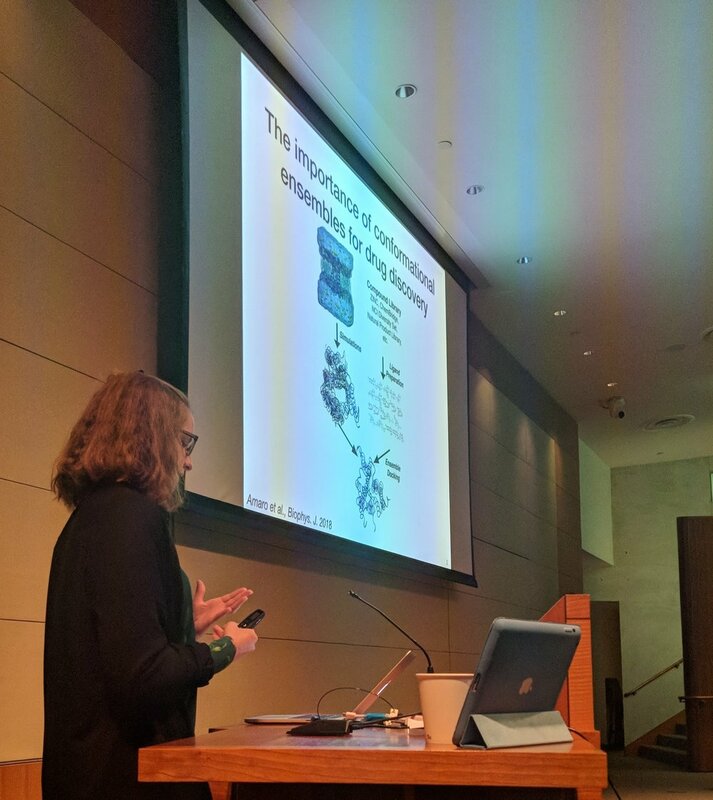 Sonya will maintain strong links with the laboratory and the Folding@home Consortium as she progresses toward an independent faculty position. You can see more fantastic work from Dr. Hanson at her Google Scholar page, check out her recent paper on the heat activation of TRPV1 in PNAS, and find out more about her career trajectory at her website. Congratulations to Rafal Wiewiora on receiving a Cancer Research Horizon Award! 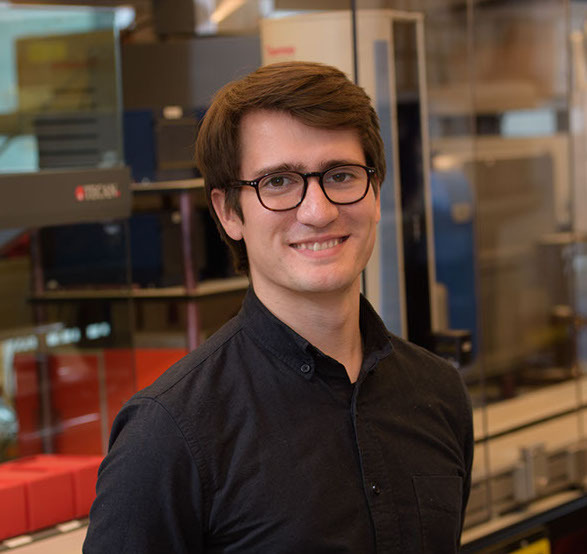 Rafal Wiewiora, a graduate student in the Tri-Institutional Program in Chemical Biology, has been awarded a DoD Peer Reviewed Cancer Research Horizon Award. This two-year grant supports exceptional junior-level scientists pursuing research in cancer with the guidance of a faculty mentor. Rafal’s project investigates the conformational heterogeneity of histone methyltransferases using molecular dynamics simulations on the Folding@home platform, a worldwide distributed computing project where hundreds of thousands of people around the world contribute their computing power toward the understanding of cancer targets. 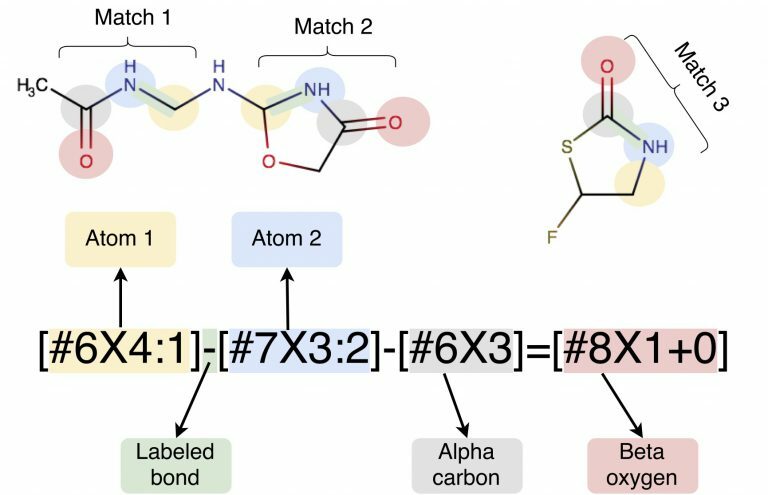 These models of conformational dynamics will be vital in aiding the in silico design of selective chemical probes to understand the roles that these methyltransferases play in cancer, as well as to develop new strategies to inhibit them. A native of Poland, Rafal received his MChem degree from the University of Oxford. Combined computational and experimental approach to discovering selective inhibitors of EZH2 and SETDB1 that exploit differences in conformational reorganization energies to achieve selectivity. Congratulations to Patrick Grinaway on being funded by an Open Science Fellowship from Silicon Therapeutics! PBSB graduate student Patrick Grinaway will be funded by the first Open Science Fellowship from Silicon Therapeutics to develop new open source methodologies and software for scalable relative free energy calculations, building the foundation for truly automated small molecule design. This code will be part of the growing OpenMM software ecosystem, which makes use of OpenMM's GPU acceleration to achieve high performance while still being easy to build complex molecular modeling applications in Python. Read more about the science here. Congratulations to Chaya Stern for receiving a Diversity Scholarship to attend SciPy 2017! Congratulations to TPCB graduate student Chaya Stern for receiving a Diversity Scholarship to attend SciPy 2017 in Austin, TX July 10-16. 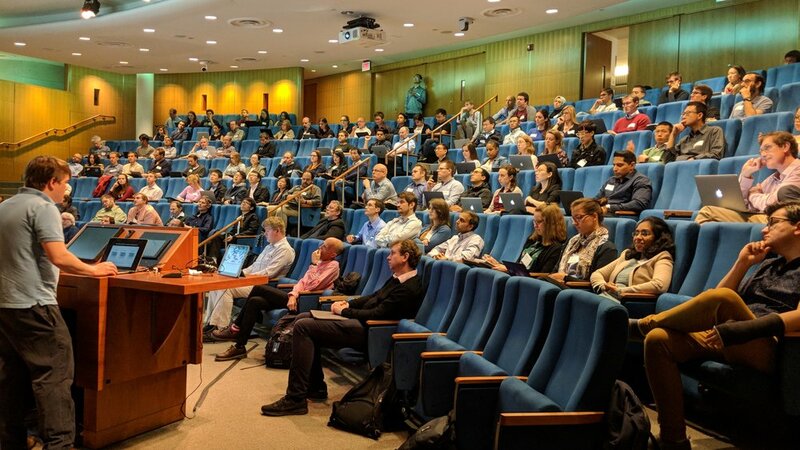 SciPy is a conference focusing on scientific computing with Python, and brings together a community of open source software developers and users from industry, academia, and government to show off their projects, learn from each other, and collaborate to develop better code. We're grateful to JumpTrading and NumFocus for providing the funds for this fellowship. Congratulations to postdoc Gregory Ross for being awarded an inaugural MolSSI Postdoctoral Software Science Fellowship! Greg's project focuses on building a toolbox of self-tuning Monte Carlo methods for use alongside molecular dynamics based Markov chain Monte Carlo (MCMC) sampling to greatly enhance the efficiency of molecular simulations and facilitate the construction of new sampling algorithms. Read on for a more detailed description of his project. In the biomolecular simulation community, molecular dynamics (MD) is the most popular method for sampling molecular configurations. MD is well suited to capturing global, concerted movements, but it struggles to sample configurations that are separated by large energetic barriers. As a result, configurations taken from MD simulations tend to be from the same local region. An equivalent problem is encountered in Bayesian inference when drawing samples from a high-dimensional, multimodal posterior distribution. MD-related techniques are a small subset of a large class of Markov chain Monte Carlo (MCMC) techniques, and practitioners in both the biomolecular simulation and Bayesian inference communities have, in principle, a great deal of choice on which sampling method to use. However, it is difficult to know which MCMC method will the most efficient at generating uncorrelated samples for a particular system. In my project, I will develop a toolbox for MCMC that is agnostic with regard to what is being sampled, whether a protein conformation or posterior distribution. I will focus on using adaptive MCMC methods to help select the sampling technique that works best for a given problem. The general idea is to write a library of MCMC tools and a software interface that allows for the construction of MCMC “blocks” which can be mixed together and easily applied. The goal is to simplify sampling from difficult distributions and, ultimately, to widen the range of phenomena currently accessible by molecular simulation. Congratulations to TPCB graduate student Mehtap Isik, who is the 2017-2018 recipient of the Doris J. Hutchison Fellowship from the Sloan Kettering Division of the Weill Cornell Graduate School of Medical Sciences. Her project focuses on the development of model protein:ligand systems for advancing the field of predictive quantitative computational modeling for drug discovery using robotic wetlab experiments and advanced GPU computing, and is described in this proposal she submitted to the fellowship competition.